“Elder be ye Lady’s tree, burn it not or cursed ye’ll be” so says the Wiccan Rede. If you want to cut an elder you must ask permission of the Elder Mother, the spirit said to inhabit the tree, “Old girl, give me some of thy wood and I will give thee some of mine when I grow into a tree.” The Elder tree has long been used for medicinal purposes throughout Europe and Asia and in times past to treat colds, flu, hayfever and arthritis. It’s been found that elderberries stimulate the immune system and some countries are using it to fight cancer. 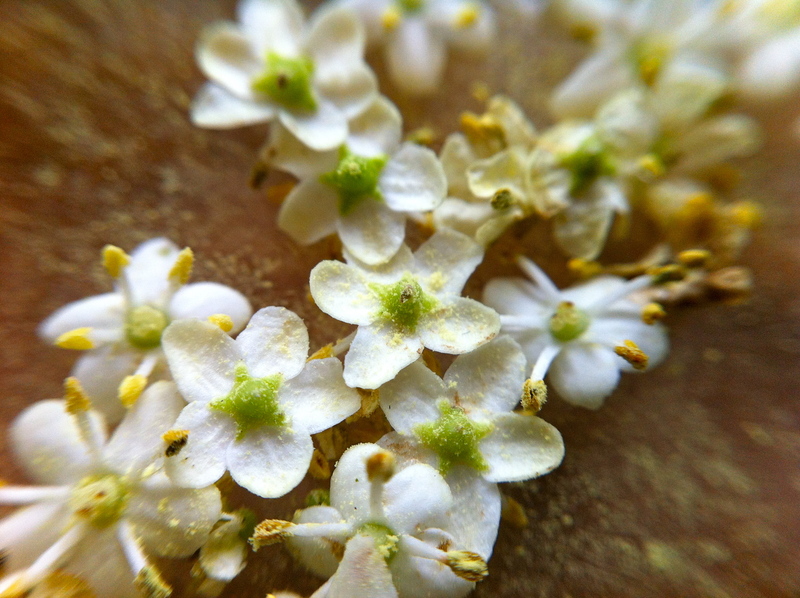 The elder tree was often used as a form of protection from evil, but today, we simply use the flowers to make fine cordial for a summer’s day. 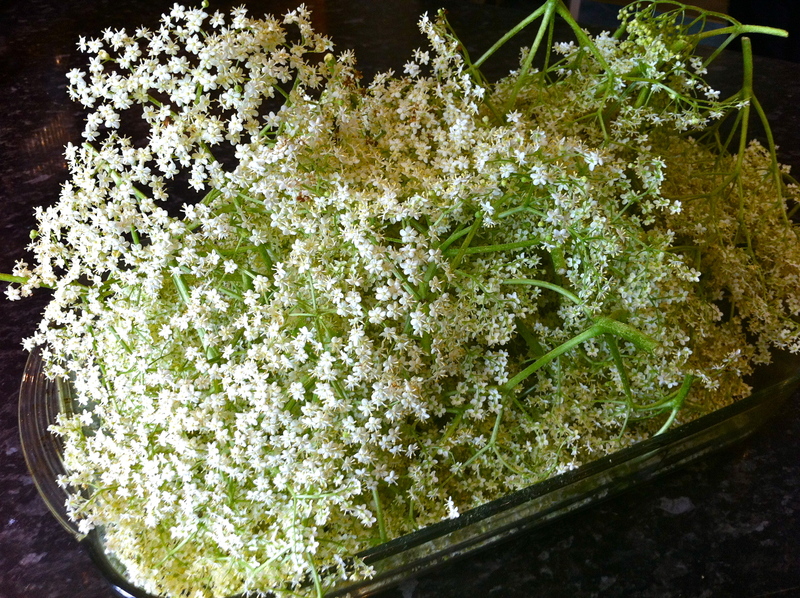 Pick your elder flowers now in early June as the young buds are flowering. Tradition says to pick them in full sunlight for their finest aroma and it’s also recommended that you don’t use any flowers that have gone brown as it will taint the flavour of the infusion. 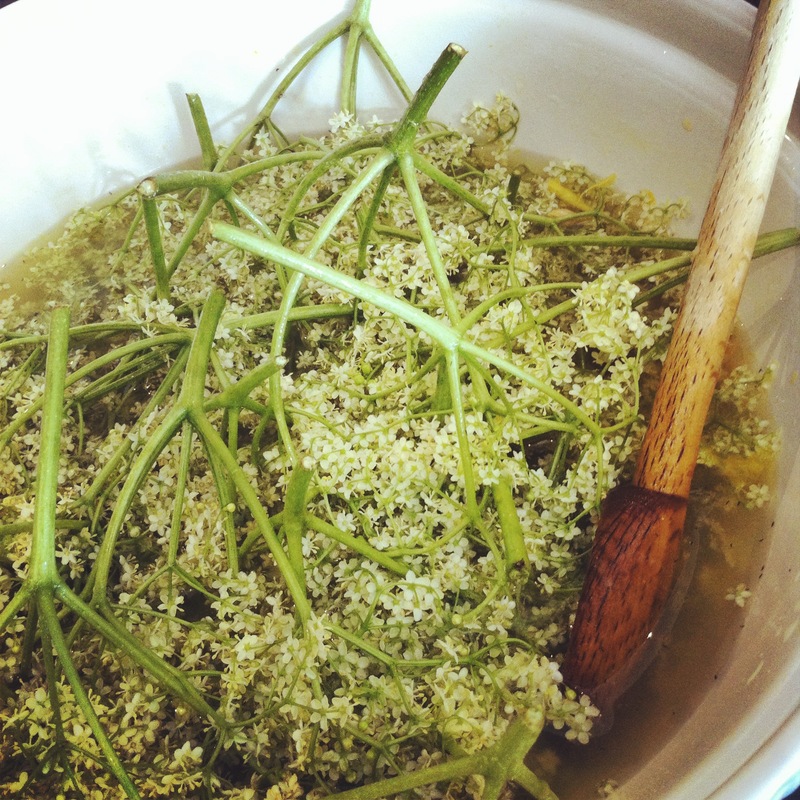 Making elder flower cordial really couldn’t be easier, so find a tree and ask the lady of the elder if she minds that you share in her bounty and go forth and mix your potions. Pour the freshly boiled water onto the sugar in a large mixing bowl. Let it cool. Add the citric acid, stirring to dissolve and then add the juice and rinds (I used strips of peel) of your oranges and lemons. Mix it all up and then place the flowers, facing down into the water. Cover with cling wrap and leave to steep for 48 hours. Strain the mixture with muslin or jelly bags, and pour into sterilised jars or bottles.